Your financial situation and your goals for handling your student loans. You have a private loan, your payments are due monthly and you fail to make a payment for 120 days (4 months). When dealing with collection, it is wise to be on your guard against annoying, confusing or illegal tactics. Keep track of where your loan came from and who is collecting it. If you are in default, your loan may have been turned over to a collection agency. A collection agency is not the U.S. government. If a collection agency calls you, write down the agency’s name and address, the name and extension of the person you’re talking to, and any other relevant information. You have rights under a federal law called the Fair Debt Collection Practices Act or “FDCPA.” Collection agencies may not call you at unreasonable hours, call you repeatedly to annoy or harass you, threaten you with criminal action (putting you in jail, etc. ), misrepresent your rights, contact your family or friends, or use abusive or profane language, among other things. If a credit agency violates these rules, you can bring suit against them in federal court. This law only applies to debt collectors. If you experience these kinds of issues, write down every time the collection agency contacts you. If you are not sure if it applies to you, talk to a lawyer. If you have Federal student loans, the government can garnish your wages without a court order. This means that the government will require your employer to turn over a portion of your paycheck before you get it. Up to 15% of your disposable income (how much you make after taxes and other deductions) can be garnished. The right to request a hearing about the existence, amount, or enforceability of the debt, the rate of withholding, and whether you have been continuously employed less than twelve months after being fired, laid off, or otherwise leaving your job involuntarily. Timing is important! If you request a hearing within thirty days of receiving the notice, garnishment cannot start until after the hearing. Tip: The most common defense to garnishment is financial hardship. If you claim financial hardship, you must provide proof of your financial situation, like how much you spend on basic living expenses, copies of all monthly bills, copies of tax returns, earning statements for you, your spouse, and any dependents. Private lenders must sue and get a judgment against you to garnish your wages. Can the lender take my Social Security, pension, or other benefits? The law requires that you be given notice of these collection methods, as described in the section above. You may defend against a tax refund offset if you have already entered into a repayment plan and are making the required payments. However, if you agree to a repayment program after the tax refund offset has begun, you cannot avoid the offset simply by making payments. You must first get out of default. Can my lender take me to court? Yes. Private lenders are more likely to sue than the federal government. Is there a statute of limitations on my loan? Federal Student Loans: There is no statute of limitations on federal student loans. This means that the government has a claim against you for payment of the debt for the rest of your life. Private Loans: Private loans do have a statute of limitations. 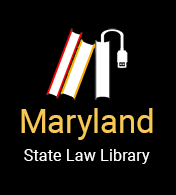 In Maryland, a lender cannot sue you if three years have passed since the debt became due. However, that statute of limitations can be reset, allowing you to be sued. This may occur if you agree that you owe money or make a small payment. Will bankruptcy get rid of my student loan debt? To have your student loans discharged in bankruptcy, you must show the court that it would be “an undue hardship” for you to pay the debt off. Courts rarely discharge student loan debt in a bankruptcy proceeding. You can get out of default and become eligible for new loans and a choice of repayment plans by ‘rehabilitating’ your loan. You must make nine separate payments within twenty days of the due date for ten months in a row. These payments must be voluntary – wage garnishments, tax return offsets, and other payments where your lender or the government takes the money do not count as voluntary payments. You can contact your loan holder to discuss affordable repayment plans and rehabilitation. You may be required to provide proof of all of your expenses and income, so that the lender can offer you a reasonable and affordable payment. Make sure to get a written copy of your new payment plan. Once you agree to a payment plan, and you make the nine payments, you will be out of default and eligible for different repayment plans, as well as forbearance and deferment.